Smudge found his forever home today and he is going to be so adored by his new little owners! 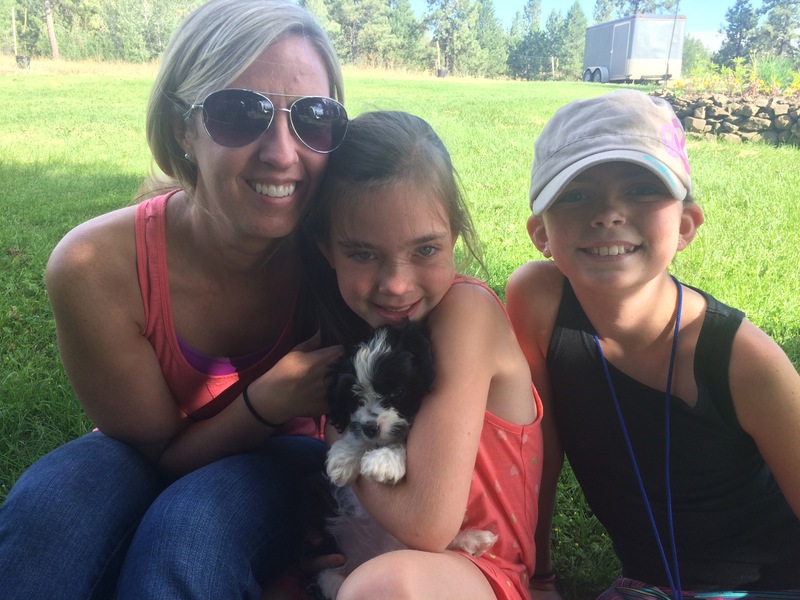 There’s nothing quite like the excited squeals of little girls when they find out they’re getting a new puppy! And Smudge is going to love all the attention! Smudge was the last puppy to be matched from our first batch of spring puppies. With all of them matched to forever homes, we can now move forward and get serious about our next batch! The following puppies are available and we will be posting videos all this week for puppy selection. 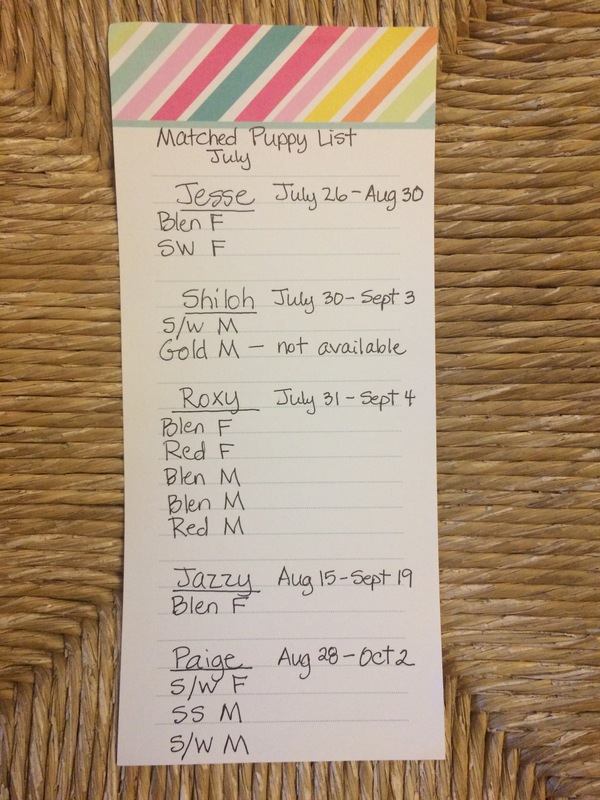 There are 6-7 families already on the waiting list, who are ready for a new puppy now, and they will have first choice, but there will still be puppies available after we get through the list. Please be aware of the dates. The first date is when that litter is 8 weeks old and puppies can go home and/or fly. The second date is when an Accelerated puppy (13 weeks old) would go home. Puppies can leave at any time between those dates but keep in mind that we charge $100/week to keep puppies, starting the day a litter turns 9 weeks old. Please email us at silverpawcavachons@gmail.com if you’re interested in more information. The difference in red and gold is not always visible. We call the golden puppies “red” if the parent Cavalier was a Ruby color.